During a trip to Italy last year we visited Venice, maybe one of the most beautyful cities on this planet. There are more photo opportunities than you can point a camera at. 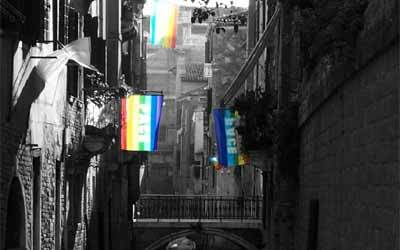 It was just before the Iraq war had started and like the rest of Italy, the whole of Venice was covered in Peace flags.